The U.S. Just Destroyed Its Arms Industry—Who would trust weaponry “Made in the USA” after this? President Hassan Rouhani of Iran in 2017 in Tehran at an exhibition of the country’s achievements in space technology. 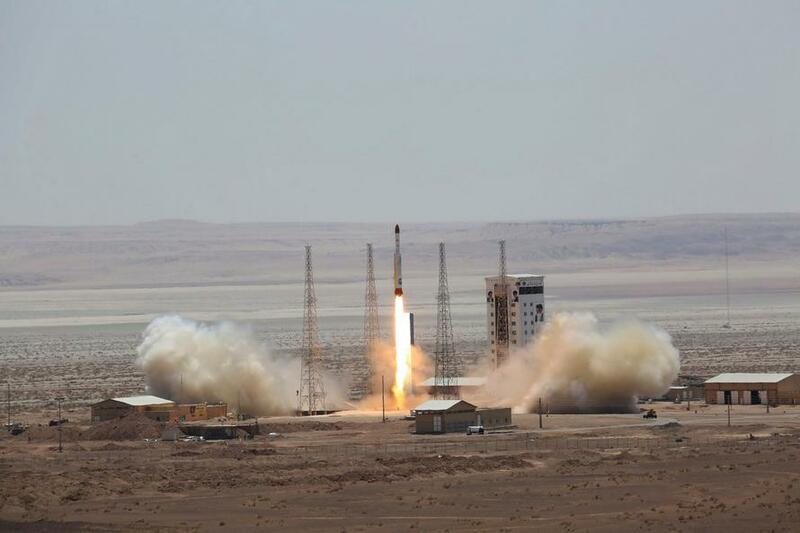 The success of the effort is unknown, however the Times suggests that Iran’s two recent satellite launch failures “within minutes” may be due to the previously undisclosed program. Those two rocket failures — one that Iran announced on Jan. 15 and the other, an unacknowledged attempt, on Feb. 5 — were part of a pattern over the past 11 years. In that time, 67 percent of Iranian orbital launches have failed, an astonishingly high number compared to a 5 percent failure rate worldwide for similar space launches. Following the launch failures, the Times reached out to over a half-dozen current and former government officials who have participated in the sabotage program for more than a decade. “The covert actions against Iran’s missile and rocket program are being taken through countries and companies that supply Tehran’s aerospace operations,” writes the Times. The officials described a far-reaching effort, created under President George W. Bush, to slip faulty parts and materials into Iran’s aerospace supply chains. The program was active early in the Obama administration, but had eased by 2017, when Mr. Pompeo took over as the director of the C.I.A. and injected it with new resources. Government officials asked the Times to withhold some details of the program – mostly involving the identities of various suppliers to the Iranian program since their effort is ongoing. And based on the recent launch failures, it appears that this effort has intensified. “We’re not going to have that happen,” said Trump. 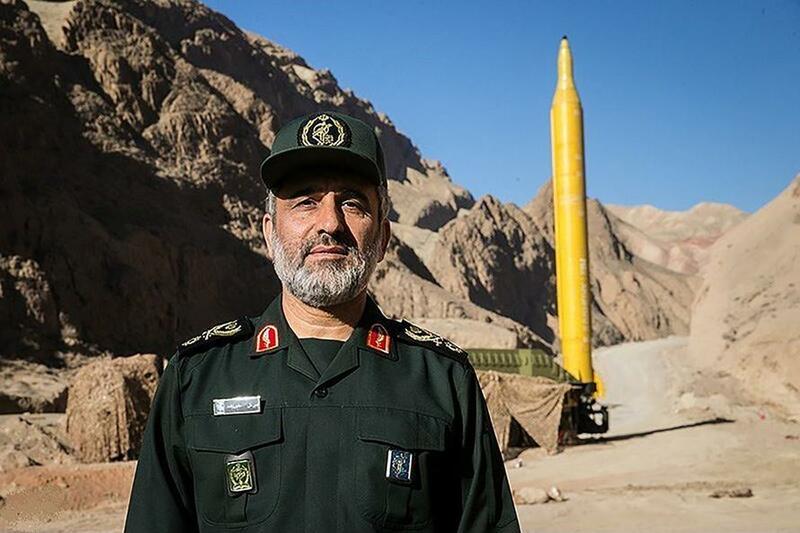 Iran’s quest for powerful missiles began in the 1980s when Saddam Hussein shot waves of missiles from Iraq into Iranian cities, killing hundreds of civilians. 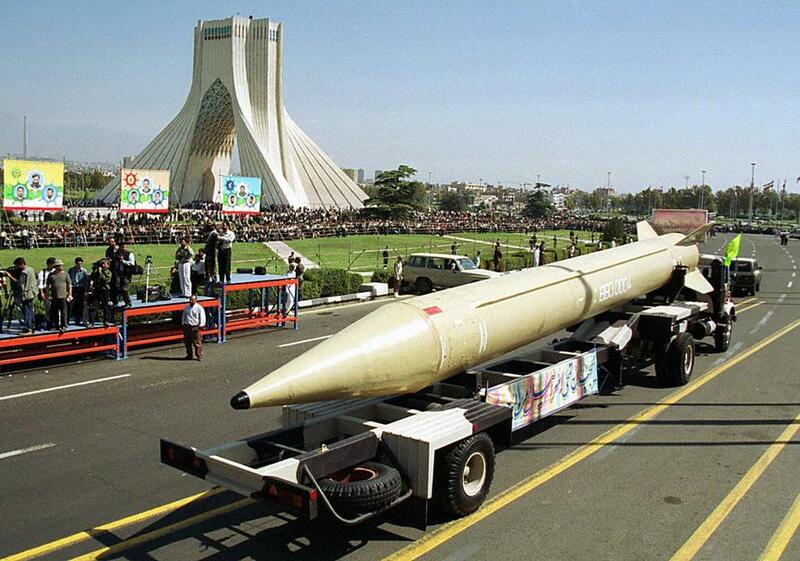 Iran fired back using Soviet-designed missiles acquired from North Korea, Syria and Libya. By the end of the 1980s, Iran was importing the “No Dong” missile from North Korea – which it renamed the Shahab-3 (or “Shooting Star-3) – capable of sending warheads up to 800 miles; enough to hit Israel. The No Dong’s seven-foot-long engine has become the first-stage propulsion unit for the majority of Iran’s long-range missiles and for all of its space launchers, writes The Times. Following the 2003 US-led Iraq war, Western powers beefed up their efforts to thwart Iran’s missile and nuclear ambitions. Two covert programs targeting Iran were launched during the Bush administration; one was focused on nuclear materials, and the other on the Islamic Republic’s missile program. It did not take much, according to officials from both the Bush and Obama administrations. Flight disruption could take no more than a small design change in a critical valve, a modest alteration in an engine part or guidance system, or a contaminated alloy for making launcher fins, crucial for aerodynamic stability. In 2010, meanwhile, a sophisticated malicious computer virus known as Stuxnet – thought to be a jointly built American / Israeli cyber-weapon, targeted Iranian centrifuge systems, causing them to tear themselves apart. 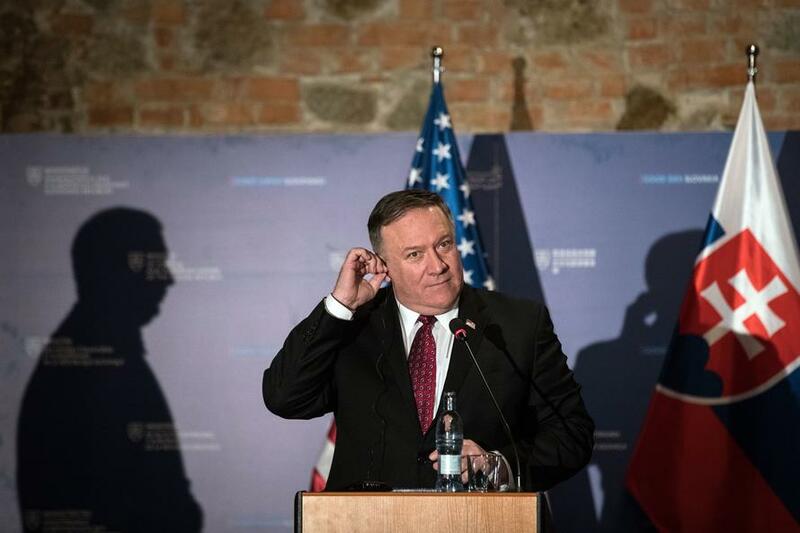 Thanks to UN sanctions on Iran, Tehran has been forced to rely increasingly on black markets and shadowy middlemen – which have been compromised by the CIA – resulting in the faulty components being slipped into the supply chain. Under President Obama, faulty parts were provided not only for missiles, but also satellite launch components. 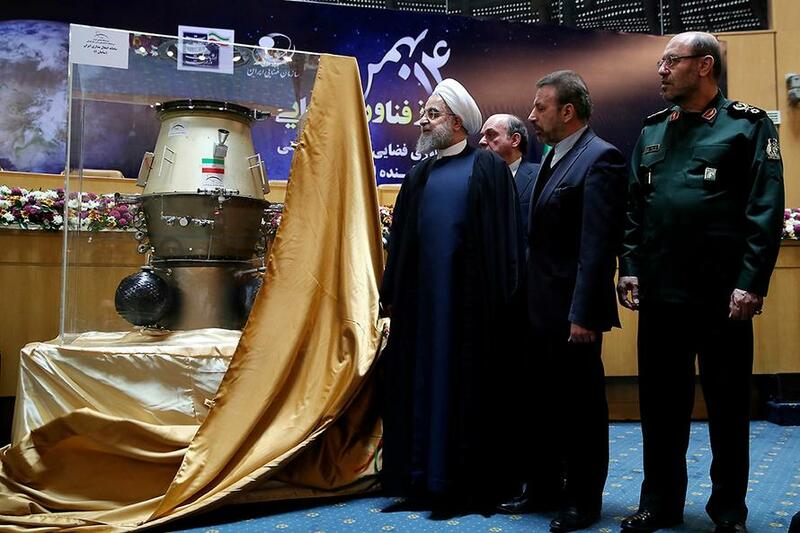 Despite Iran dismantling its centrifuges under the 2015 nuclear agreement, and shipping 97% of its nuclear fuel to Russia, the Islamic Republic has reportedly ramped up its missile and space program. This is where Pompeo and the CIA stepped in, immediately focusing on the supply chain for rockets and missiles. He had graduated from West Point with a degree in mechanical engineering and founded, with classmates, Thayer Aerospace, named for a famous superintendent of the military academy. The company made parts for Boeing, Lockheed and Raytheon. Mr. Pompeo understood what happens when aerospace parts are produced with less than extreme precision. From 2011 to 2017, he served in Congress, including on the House Intelligence Committee. The clandestine effort to “seed” Iran’s aerospace program with faulty components can take years – while knowing whether said components were actually used in the construction of rockets and missiles is virtually impossible. Complicating efforts to assess the sabotage program is Iran’s size and proximity. Around twice the size of Texas, missile components typically fall into its own territory – unlike North Korea, whose missile launches are relatively easy to monitor given its proximity to American bases, fleets, radars and allies. With Iran, the evidence is not so easy. According to sky monitors, Iran’s latest failures have been easy to track. 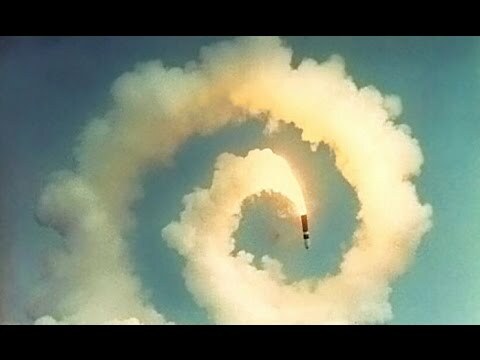 The country has failed to successfully test their latest generation satellite launcher – a much more powerful, nine-story-tall rocket known as Signorgh which left the ground intact but suffered a failure in its third stage. “Sometimes life does not go as expected,” said Iran’s minister of telecommunications, Mohammad Javad Azari Jahromi. And sometimes that’s because the United States slipped faulty components into your rockets, according to the New York Times.